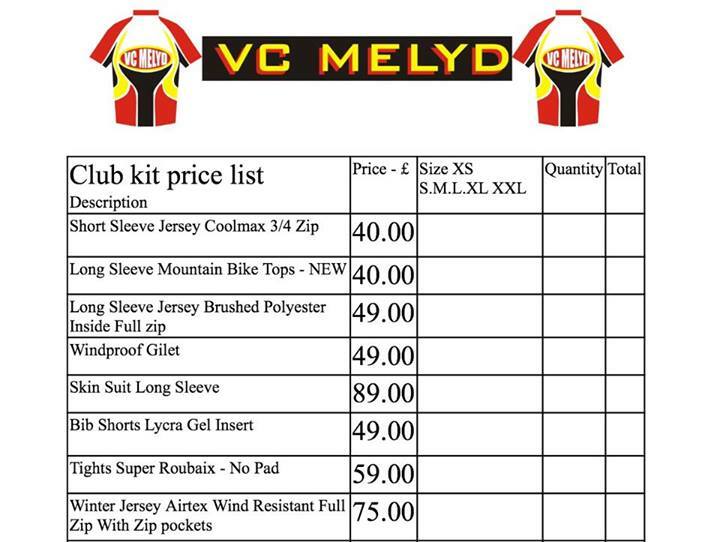 For those of you who are looking for Velo Club Melyd club kit – but not sure on the fit or the price of the current supplier – why not have a look over the stock list for the last provider we used. Items are available for sizing, so there is no risk – you can try them on. Same destinctive kit and logo – different provider. Simple. Club Kit Window > is now open until 12th October. If returning customer you can use your previous log in. Any queries contact either me or Darran Acton. New customers will need to contact me for club login. For those unfamiliar with the process – club kit is mostly printed to order. As such – we gather a list of items we require – then submit that for manufacture. Some time later – the goods arrive – others look on in awe while you look resplendent in your new 2016 VC Melyd Cycling Kit. Happy Days. 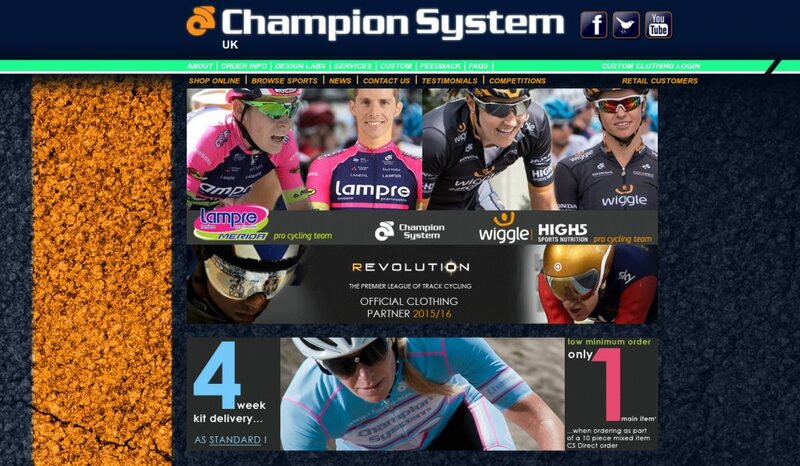 This year we are going with Champion Systems. A change from previous years. The samples have been good, and we how the marvel that is online ordering. So gather around one and all – follow the instructions below, as posted on the VCM FB group – and make the magic happen (sizing information attached below – although this will be the same as any other Champion Systems items). “VC Melyd – Kit Order Window Now Open! All of our VC Melyd branded items are displayed in the ‘Shop’. I’ve also loaded the size guide to this post to help. Any questions, please drop Mandy or myself a PM or Darran from Champion Systems will also be available to help out. Our order window will close on: 25th January at 2pm with deliveries expected around the 6th March. It will be impossible to add to this specific order after this date. The current Sizing Chart should be referenced before ordering garments to avoid disappointment on arrival. So it has been ordered – so it shall be done: Hallowed be thy club kit. Christmas has come again – and the dwelling of the esteemed Oversons is brimming with kit in a variety of sizes and shapes. Should you have been amongst the joyous number who have put in an order, do not hesitate to get in contact – they are all bagged up and ready to go. If you are late to the party and wondering if there is any spare stock – head over to the FB page, and check out current availability. It will not be too long now before we are all resplendent once again in summer kit. We are going to be putting in a winter kit order in the next few days. If you have a hankering to wrap yourself in the exceptionally fine club colours (lab tested to be faster than other colours such as, for example, orange). More information or sublime kit can be found on the sites VC Melyd Kit Page – and any orders – ideally – on that form and in Sam’s possession for this weekend the 11th October. The VC Melyd club kit – extensively laboratory tested to make you look faster, smell sweeter, and easier to pick out in a line up. Sporting the distinctive VC Melyd Marmite-esque logo in particularly fetching shades of white, black yellow and red – this years must have – it really is as simple as deciding on a size. Short Sleeve Jersey: £40 – Full length zip, light weight fabric, colar with zip garage, three pocket rear, and perforated side panels for better ventilation. Long Sleeve Jersey Winter: £49 – Brushed polyester (roubaix) waffle fabric, full length middle weight zip with garage, three large pockets and reflective strip. Gillet: £49 – sleeveless windproof layer. Full length zip., three pocket rear, windproof lightweight shell fabric, water repellant. Winter jacket: £75 – Fleece jacket, full length heavy weight zip, three pocket rear and reflective strip. Windpoof membranes in front panels and arms. Shorts: £49 – Gel insert pad lycra bib shorts, logo side panels and contrasting red leg grippers. Longs: £59 – Brushed polyester (roubaix) full length longs with stirrup and no pad. The older order form seen here below. Orders to be sent over to Alan regarding stock / sizing / availabillity.